It is popular to believe that content is king within social media. I am not so sure. I think that information is actually king in social media and that information is very different to content. First of all, where might this idea that content is king have come from? It is an idea that comes out of the world of traditional marketing where media was king. Media was king because it was the principal channel we needed to reach our consumers and it was also either fiendishly expensive or difficult to access. Because of this, when we got or bought, access to a media channel we had to think very carefully about the content we put into it. This is why creative directors drove Porsches. Social media is neither fiendishly expensive nor difficult to access. Fantastic, we all thought, now there are hundreds of channels we can use to access consumers and they don’t cost any money. All we have to do is figure out a way of making enough content to fill them all. Unfortunately, in the rush to sieze the keys to the Porsche we all forgot to take a good look at what this thing called social media actually was. For a start, we forgot that, unlike traditional media, it did not have an audience built into it. Audiences do not naturally exist in social media, and while trying to create them is not impossible, it is very hard. The reason for this is that social media was never designed as an audience-based platform. Facebook was designed to help geeks get girlfriends and you don’t need an audience of girlfriends. And just because you have 50,000 likes, this doesn’t mean you have an audience of 50,000 people – mostly all you have is a list of 50,000 people who once clicked a button (often because you bribed them to do so via a competition or special offer). People mainly use social media to do one of three things: what I call the Holy Trinity of social media behaviours. They use it.. This isn’t to say that people are not consuming content over social media channels – they are – but it is a space which is tiny in comparison to where the main action is occurring. It also tends to be content which is genuinely interesting or entertaining, not brand mush. Of these three behaviours, the one that is most relevant to the content issue is the one concerning asking questions, as this ad produced by an Israeli mobile phone company very neatly illustrates. 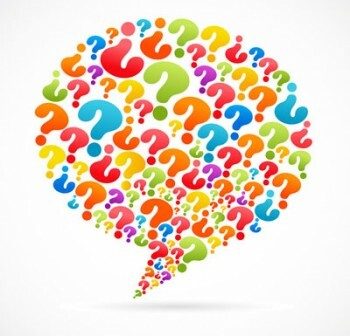 Brands need to be able to identify and respond to the questions for which they are an answer. This is one of the processes that lie at the heart of any successful social media strategy. The problem, as I am fond of telling advertising folk, is that an ad (or any other form of audience-based content) is an answer to a question that no-one ever asked. This doesn’t make it wrong; it only becomes wrong if you put it in front of someone asking a question, or who expects to be treated as an individual, not as a member of an audience. When consumers are in the social digital space, they want to be treated as an individual. They therefore don’t want content (i.e. something designed to be of interest to an audience of people), they want information. Information is very different. It is specific and niche and its relevance is defined, not just by the person or people it is addressed to, but by the needs or behaviours of that person at any moment in time. If you have a question, you have it now and you want the answer now. You didn’t have the question 30 minutes ago, neither do you want to spend 30 minutes wading through a piece of content to discover the answer. This is not to say that a piece of information won’t end up being viewed by an audience sized group of people – it is just that this will happen one individual view at a time, over a long period of time and at the time determined by the needs of the consumer, not by a publication schedule determined by a brand. It is very easy to get into a semantic argument about the difference between information and content – but one way to settle this argument is to look at intent. If something is designed as a single message to be of relevance to the whole your audience of consumers and which is intended to be consumed around the time you issue it – this is content. As a general rule this will only work effectively when you can put it into a traditional audience based channel, because if it lives only within social media it will probably never reach enough people to make its publication worthwhile. If, however, something is designed to be of relevance to a specific consumer and accessed at the time the consumer needs it – this is information. Or to put it another way, content is something that audiences consume when you decide to feed it to them, whereas information is something that individuals request when they want it. Information can often look like content, but it is the way in which it is used or accessed that makes the critical difference. An information strategy also needs to be understood as a process: a process that ensures that answers get matched to questions. A publication schedule is not such a process. If a consumer is asking a question directly to you in a Tweet or on your Facebok page – you need to have a process which provides an immediate answer. But likewise, if a consumer is asking Google a question for which your brand is an answer, you need to have a process which ensures you have that information within those Google spaces. And just publishing the answer isn’t going to help – you have to socialise it so that it acquires sufficient Google juice. In truth our obsession with content stems from the fact that we want to understand social media as a form of media – understandable given the name we have attached to it. We want to see it as a channel we can use to create ‘engagement’ (whatever that means) with an audience of consmers. We are ignoring the fact that our consumers have a very different take. They are using this thing like an infrastructure to help them have conversations, make connections, ask questions and complain. It is a space defined by behaviours, not channels and messages and your success within it is defined by how you respond to those behaviours. Pumping content into the space is very rarely the right response. So don’t have a content strategy defined by topics and schedules. Have an information strategy defined by a process that matches answers to questions and start that off by listening to you consumers so you can work out just what those questions are. I totally disagree: information and (big) data are everywhere; but only by interpreting, explaining, visualizing and making the information accessible, it gets meaning. Content is information made meaningful. And therefore, if you want to call something ‘King’, it is content, not the information itself. Social Media has changed a lot of things, but not the value of good content, in comparison with ‘information’. Rob – not quite sure I buy the definition of content as ‘information made meaningful’. I would, however, certainly agree that whatever it is that gives gives meaning to information deserves a crown – but I think that this lies more in forms of process that it does in things like message (content) or channel. As an aside, probably the most important change that social media is ushering in is a shift in trust from institutions to processes – but that is a whole new blog post (it is also a chapter in the ebook I have just published although I have made this chapter available here if you want to check it out http://richardstacy.com/2013/09/25/social-media-and-the-shift-of-trust-from-institutions-into-processes/). I would still maintain that if you ask someone what they want from a brand when they are in the social media space (what I call the world of the individual), they will almost never say “more content please” – they will be more inclined to say “I just want you to shut up, listen to me, and answer the question”. This isn’t to say that content doesn’t work – just not in the social digital space. Content really requires an audience – it is basically a concept that comes out of audience-based marketing or audience-based publication (media). Brands now have to operate in two spaces – the world of the audience (where content is still king) and the world of the individual (where information is king). Consumers can easily move between both spaces – and brands have respond accordingly. Thanks for these comments Richard, now I understand better what you mean by the difference between audience-based marketing and individual-based communication.